According to the Diagnostic and Statistical Manual of Mental Disorders 5th edition (DSM-5), 8 different types of depression have been joined together under the diagnosis of Major Depressive Disorder. They are as follows: Disruptive Mood Dysregulation Disorder, Major Depressive Disorder, Persistent Depressive Disorder (Dysthymia), Premenstrual Dysphoric Disorder, Substance/ Medication Induced Depressive Disorder, Depressive Disorder Due to Another Medical Condition, Other Specified Depressive Disorder, and Unspecified Depressive Disorder. Depression is a mood disorder that causes a persistent feeling of sadness and loss of interest. Depression is also called major depressive disorder or clinical depression and it affects how you feel, think and behave and can lead to a variety of emotional and physical problems. You may have trouble doing normal day-to-day activities, and sometimes you may feel a sense of hopelessness and/or life isn’t worth living. Depression is more than an occasional feeling of the blues. Feeling depressed or having been diagnosed with depression does not mean you are weak, and you can’t simply turn depression off or snap out of it. Sometimes depression may require long-term treatment. But don’t get discouraged. Once a person with depression begins to get some counseling or medication or both they begin feeling better. There are physical problems people may experience when depressed such as: back and joint pain, muscle aches and chest pain. Headaches are very common, and if you already have had migraines they may seem worse. It may slow your digestive system down, you may become queasy or nauseated. You may have diarrhea or become constipated. Depression can exacerbate on-going health problems you already have. Memory difficulties and/or personality changes. What actually causes depression is not exactly known. As with many mental disorders, a variety of factors may be involved, such as: biological differences, brain chemistry, hormones, and inherited traits. Biological traits: People with depression appear to have physical changes in their brains. The significance of these changes is still uncertain, but may eventually help pinpoint causes. Brain chemistry: Neurotransmitters are naturally occurring brain chemicals that likely play a role in depression. Recent research indicates that changes in the function and effect of these neurotransmitters and how they interact with neuro circuits involved in maintaining mood stability may play a significant role in depression and its treatment. Hormones: Changes in the body’s balance of hormones may be involved in causing depression. Hormone changes can result with pregnancy and during the weeks or months after delivery (postpartum) and from thyroid problems, menopause or a number of other conditions. 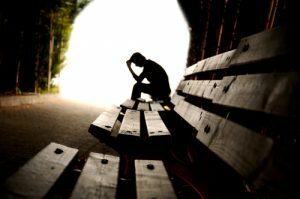 Low testosterone may also cause depression in men. Inherited traits: Depression is more common in people whose blood relatives also have this condition. Currently researchers are trying to find genes that may be involved in causing depression. The Chart below represents the difference in how men and women may experience depression. All children have fluctuations in their affect and mood, however, childhood depression is just as significant as adult depression. If a child becomes more irritable, sad, withdrawn, noticing changes in their behavior, energy levels, sleep patterns, outbursts/tantrums, feelings of worthlessness and guilt, and academic issues for an extended period of time, they may be experiencing childhood depression. Children and adolescents who are depressed may also be less likely to engage in activities that were previously enjoyed, gain or lose weight without intention, engage in self-critical thoughts and self-talk, and have thoughts of suicide or death. Persistent Depressive Disorder – symptoms as listed above, but lasting for a term of 2 years or longer, with less severity. Seasonal Affective Disorder – onset of symptoms, usually in winter months or seasons with less sunlight. As many as 2-3% of children ages 6-12, and 6-8% of adolescents experience serious depression. Depression is more common in boys under 10, but by age 16 it manifests itself more frequently in girls (http://www.webmd.com/depression/guide/depression-children#2). Children manifest depression with symptoms that are often markedly different than adults. For example, many children complain of physical/psychosomatic symptoms (i.e. headaches, stomach aches, fatigue, lack of sleep), as well as nightmares. Older adolescents may exhibit more moodiness and decline in general functioning. However, keep in mind that most children and adolescents will display depressive symptoms at different times/settings. In addition, due to hormonal changes during puberty, adolescents tend to exhibit symptoms similar to depression. You can distinguish moodiness and hormones from clinical depression by observing prolonged and severe differences in their normative behavior patterns. If your child/adolescent expresses suicidal thoughts, take them to the ER or their doctor immediately for a full assessment. Consider, also, gender differences in childhood depression: boys may exhibit increased anger/rage (externalizing symptoms) while girls tend to withdraw and become more tearful. Girls who reach puberty at earlier ages are more likely to develop depression than those who reach puberty at normative periods. Girls of depressed mothers are also at higher risk for internalizing problems (i.e. low self-esteem, anxiety, self-consciousness, sadness, and suppressing anger/emotions) which are not outwardly expressed. Girls also tend to display more worry, and fear than boys in conflict situations. In other words, a history of anxiety may lead into later depression. (See http://psych.colorado.edu/~willcutt/pdfs/zahn-waxler_2008.pdf for more information on gender differences). And delivers them out of all their troubles.18 The Lord is near to the brokenhearted and saves those who are [a]crushed in spirit. Psalm 42:11… Why are you [a]in despair, O my soul? And why have you become disturbed within me? [b]Hope in God, for I shall yet praise Him, The [c]help of my countenance and my God. Isaiah 43:2… When you pass through the waters, I will be with you; and through the rivers, they shall not overwhelm you; when you walk through fire you shall not be burned, and the flame shall not consume you. Isaiah 51:11…And the ransomed of the Lord shall return and come to Zion with singing; everlasting joy shall be upon their heads; they shall obtain gladness and joy, and sorrow and sighing shall flee away. 2 Corinthians 1:3-4 3 Blessed be the God and Father of our Lord Jesus Christ, the Father of mercies and God of all comfort, 4 who comforts us in all our affliction so that we will be able to comfort those who are in [a]any affliction with the comfort with which we ourselves are comforted by God.